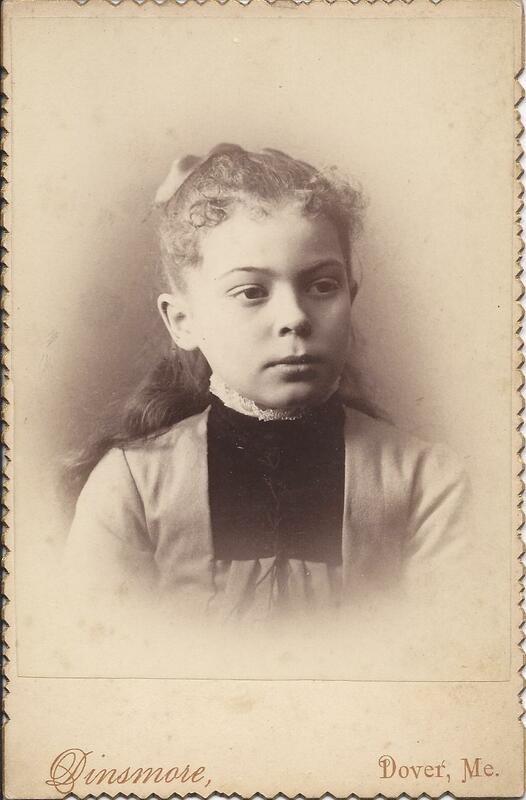 Photograph of a girl identified on reverse as Bertha Tardy. 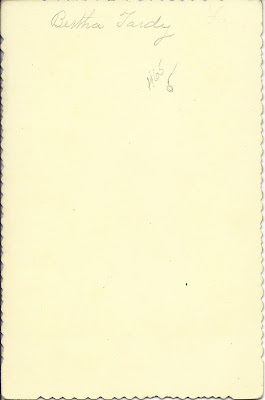 The photograph was taken by the Dinsmore studio of Dover, Maine. From online research, hopefully correct, Bertha Mary Tardy was born 18 November 1879 at Sangerville, Maine. She was the daughter of Joseph and Elmira Hale (Ayer) Tardy, who were born in Fort Kent, Maine, and Sangerville, Maine, respectively, according to Bertha's birth record. Bertha had a younger sister, Flavilla A. Tardy. 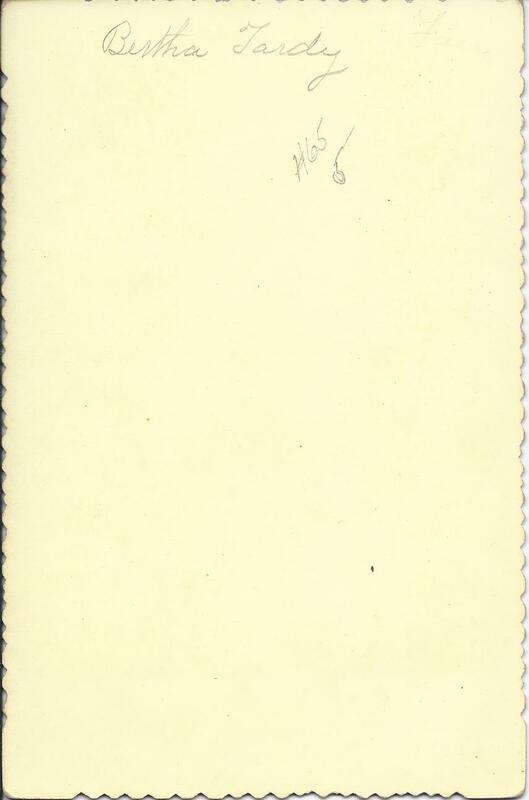 I found them living with their parents at Dover-Foxcroft, Maine, up to the time of the 1930 Census. I don't know if Bertha or Flavilla ever married. If you have any corrections or additions to the information presented here, please leave a comment or contact me directly. From 1955 until she died in 1965, when I was a child growing up on Green Street, Dover-Foxcroft, Maine, Mrs. Tardy lived one house down from us on the opposite side of the street. She never married as far as I knew. She was a very neat dresser, very prim and proper. I never saw her outside unless she was perfectly dressed with every hair in place. As children, we were a little afraid of her sternness, but she was always polite, and had some wonderful chats with my grandfather. I was only in her house a very few times, but like her grooming habits, her home was pristine with everything in excellent order. Thank you for adding this texture to the photograph and dates!